The K Café is located at Nepo Quad, Angeles City. As part of our Pampanga Food Tour 2015, K Cafe is the first restaurant that we have visited and off course to taste their sumptuous dishes that they offered to its customers. 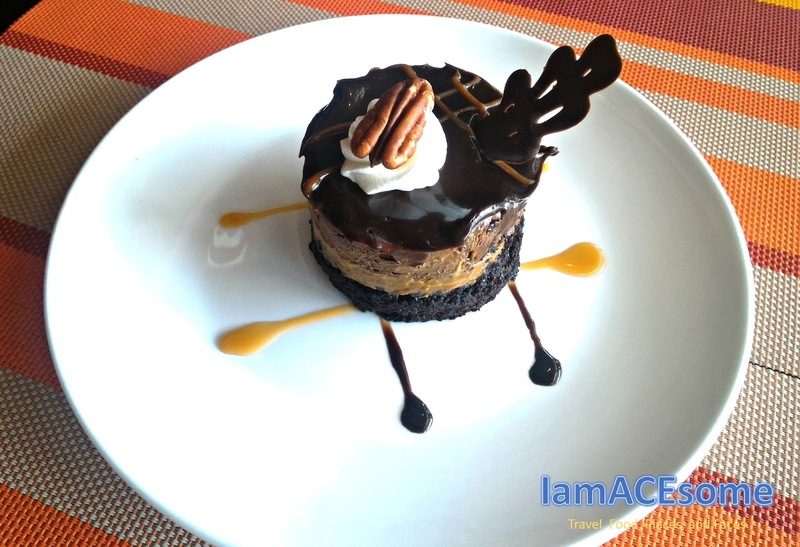 K Cafe shares their passion for good food, desserts and coffee. Here comes the food that we’ve tasted that you will probably order when you visit K Café. 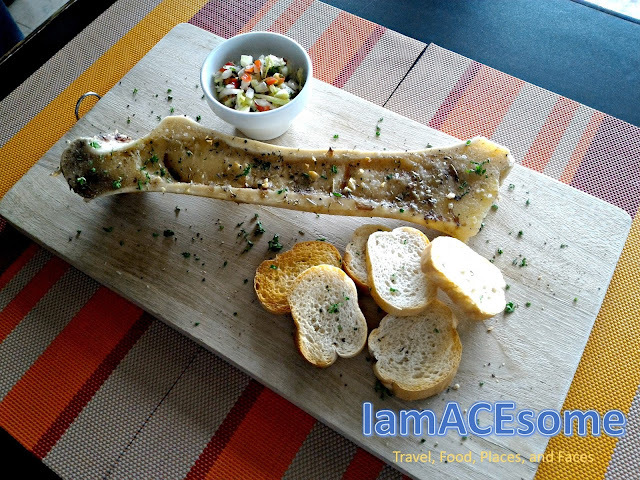 This roasted bone marrow is a new dish at K Café that you should not forget to try because it is pretty delicious, tasted a bit like eating a butter and best combination when you spread it on toasted bread and topped with a side salad. 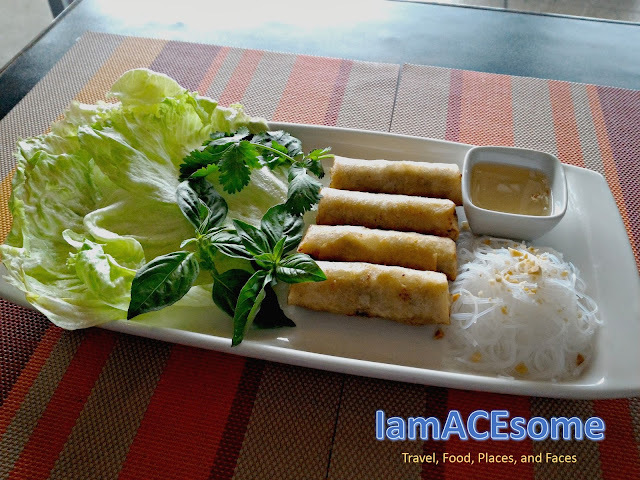 This is one of the best Vietnamese spring rolls that I ever tried, a deep-fried dish filled with pork and shrimp and tasted more delicious and enticing with its nuoc nam sauce and vermicelli. The blueberry Italian Soda is one of the best seller drinks at K Café, tasted good that add sparkle and will probably quench your thirst. 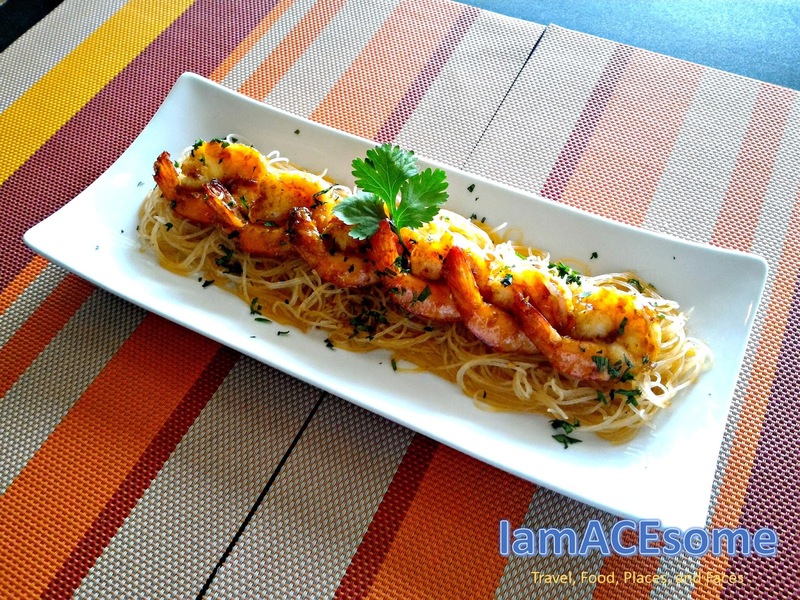 The Asian Gambas is another new dish at K Café, tasted a little bit spicy with cilantro on a bed of vermicelli that satiate my cravings. 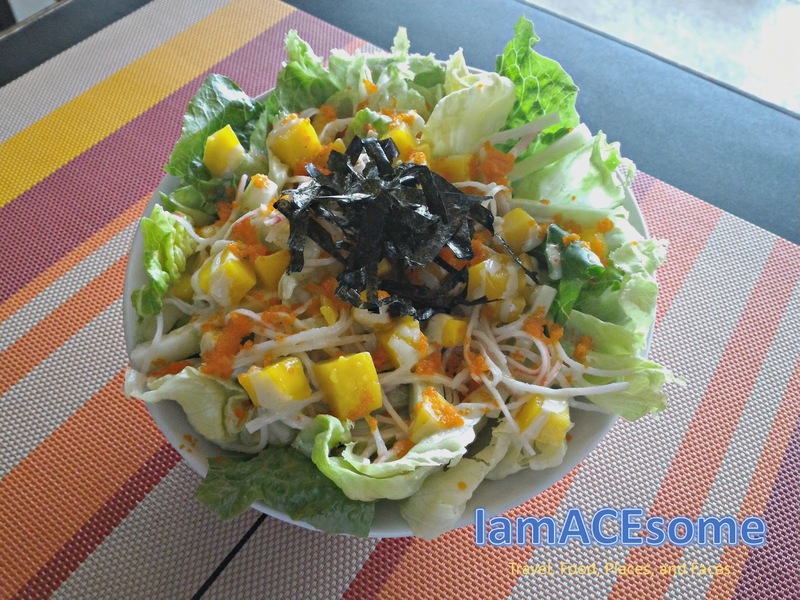 The California maki salad is perfect for your appetite with shredded crab stick, diced mango, ebiko, nori and greens with a wasabi mayo dressing that add spice and tasted flavorful. 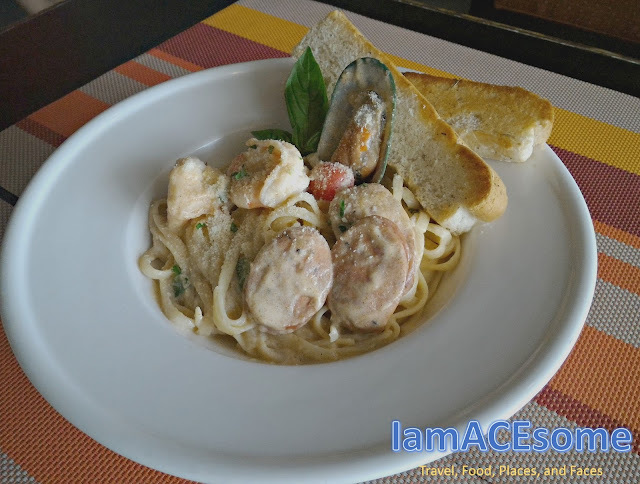 The Jambalaya Pasta of K Café is very creamy that made of linguini with shrimps, New Zealand mussel, Hungarian sausage and cherry tomato in the special spicy cream sauce. 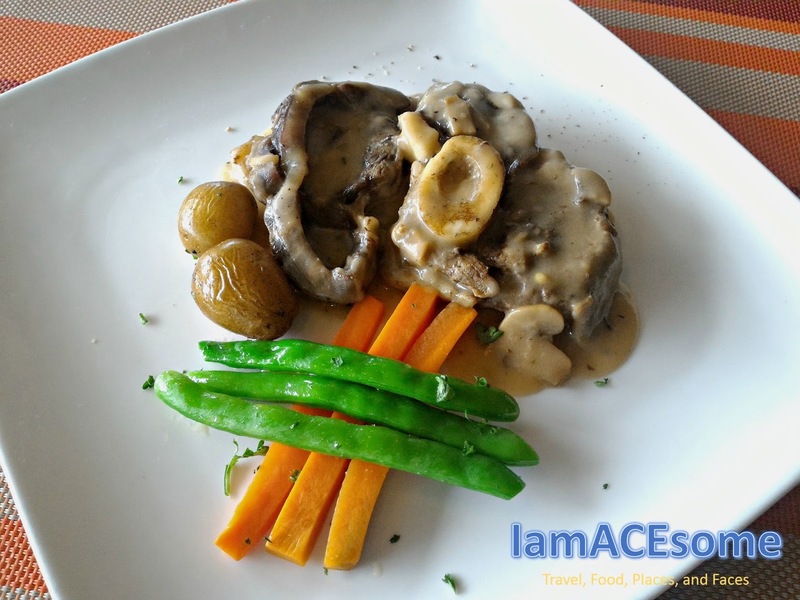 The Bulalo Steak of K Café also known as Beef Shank Steak, a mouthwatering dish with its tender beef and tasty pepper gravy with veggies and a choice of rice or mashed potato to partnered with this delicious dish. 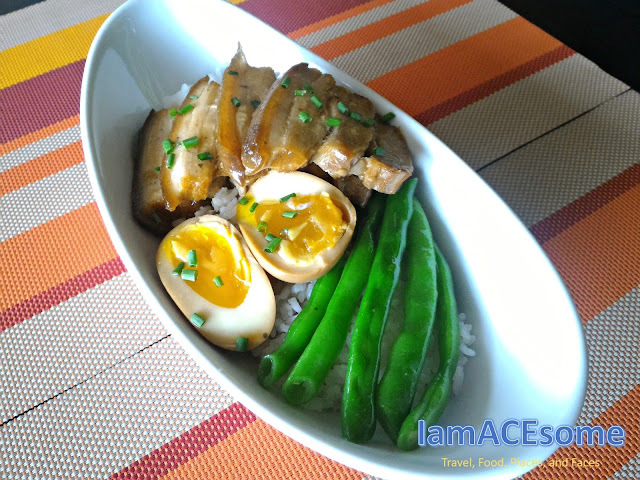 The Braised Pork Belly of K Café is made of pork belly slices in a special sauce with beans and rice. The pork belly is very tender and juicy and glazed in a special liquid, it was so delicious and who have even thought that adding ramen egg makes this dish very special. 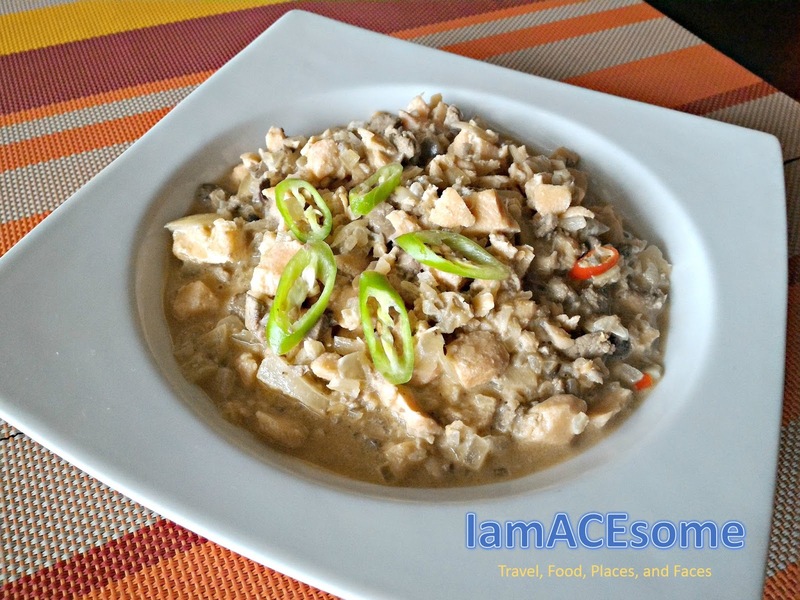 Sisig dish is one of the famous dishes in Pampanga and in the Philippines, Salmon Sisig is very new to me and this was my first time that I have tried it, for a healthy conscious individual I suggest you should try this healthy version of sisig. I don't know the word to describe it but it is really good! 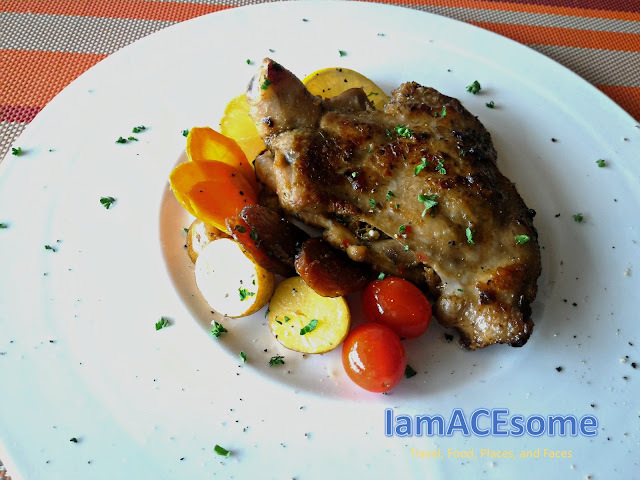 The Iberian Chicken of K Café was very tasty and flavorful that will satisfy your appetite, the chicken was marinated, pan seared and baked with chorizo, veggies and rice. 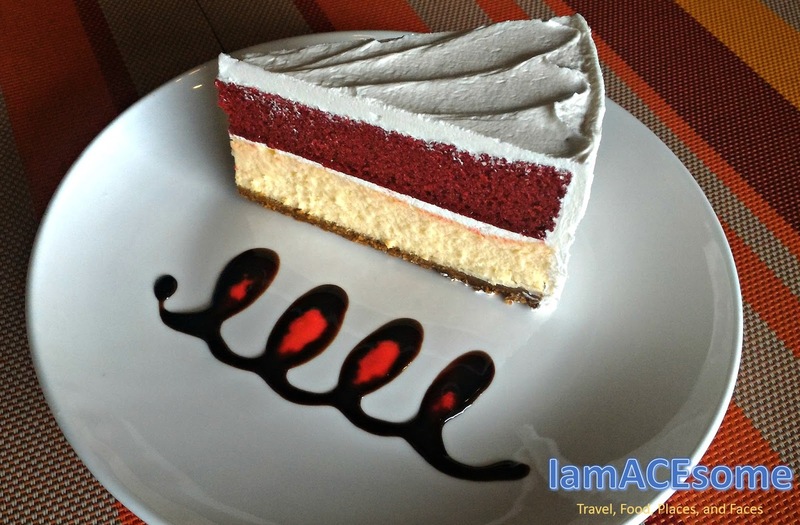 This Red Velvet Cheesecake of K Café is very creamy if you are a fan of red velvet cupcake, I promise that you will love it also. 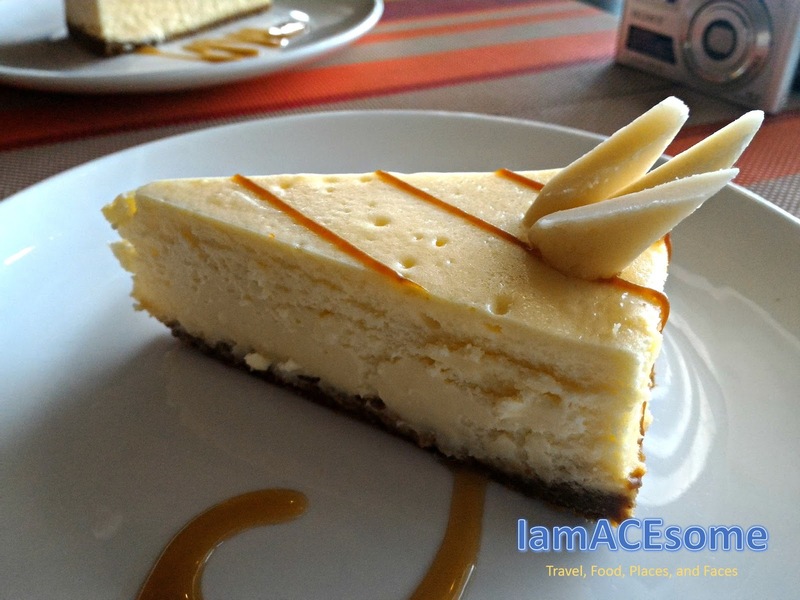 The Sizzling Apple Cheesecake of K Café was featured on ABS-CBN's TV Patrol Pampanga last October 21, 2015. It was so good and absolutely delicious and yummy. 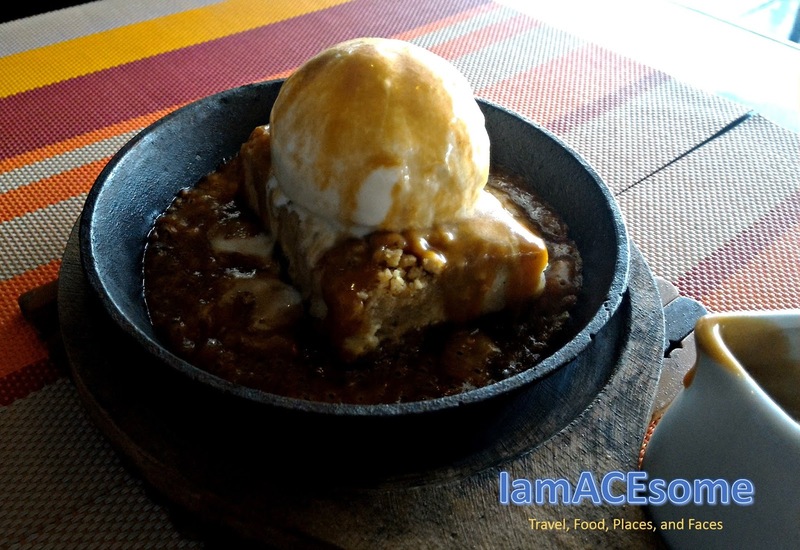 We were amazed when the owner/chef of K Cafe pour the special caramel syrup in apple cheese topped with vanilla ice cream. 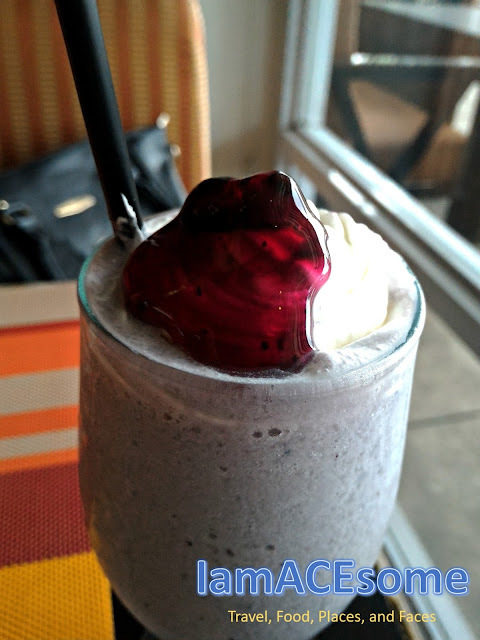 The Turtle Mousse of K Café was loving made that lived up to my sweet tooth. A must try cheesecake flavour that will add indulgement, sweet and creamy in your appetite. 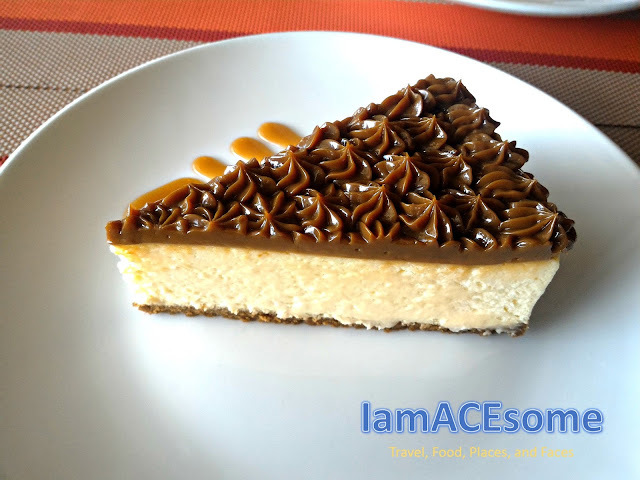 Another luscious dessert of Café that will crave your love in our very own pastillas. All the food that we've tasted are awesome. 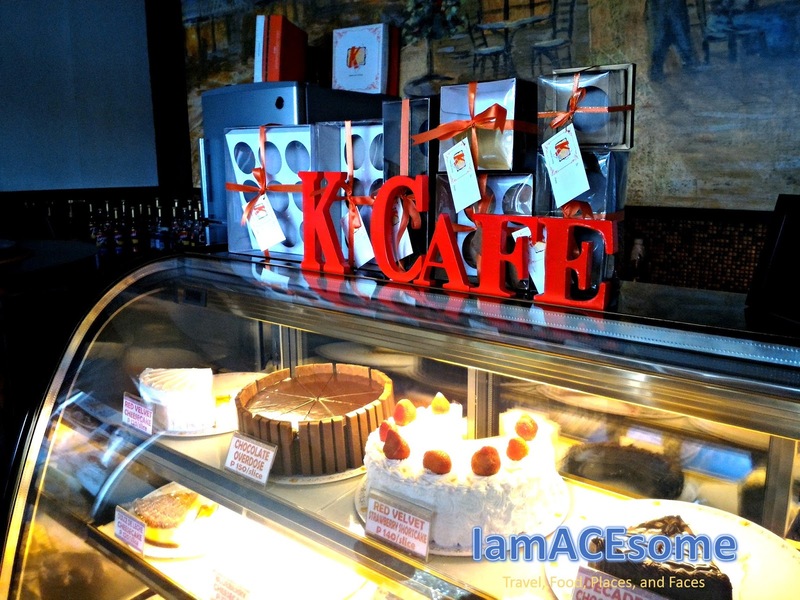 I recommend K Café to be one of the restaurants to visit and try their special dishes. 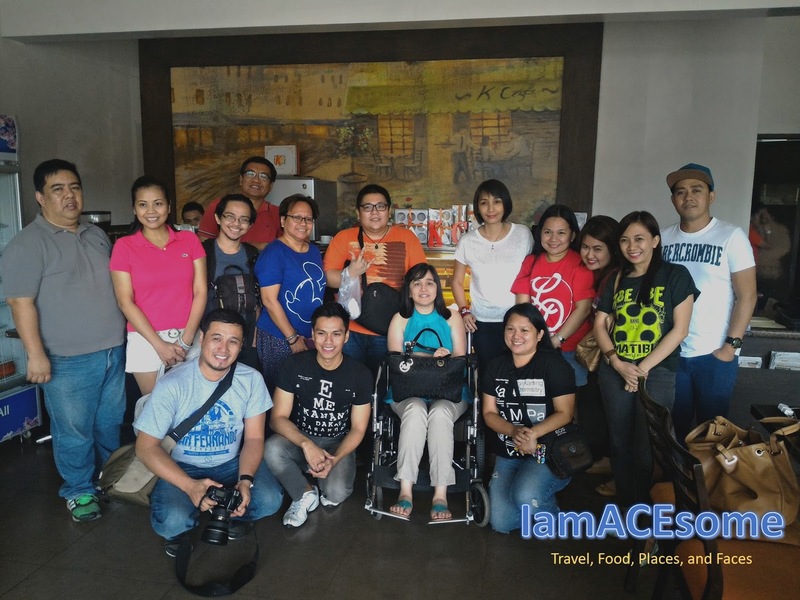 Thanks to K Café owner/chef Ms. Caren Kwong Basilio for our delectable lunch.